A potent, yet gentle illuminating and age fighting eye cream formulated with time-released retinol to smooth the appearance of lines and wrinkles. This potent yet gentle light-reflecting and age-fighting cream creates beautifully bright, captivating eyes that command attention. The result of a carefully measured combination of retinol and a specially formulated ruby crystal complex, it illuminates eye contours while smoothing fine lines, helping to reduce wrinkles, and infusing the skin with moisture for a supple, youthful-looking eye area. Using ring finger, apply on orbital bone area of eye, from the outside corner of the eye inward. If excessive irritation develops discontinue use and consult your physician. Due to the presence of retinol this product may change in color over time. Ruby Crystal Complex: Illuminates and softens the appearance of lines and wrinkles. 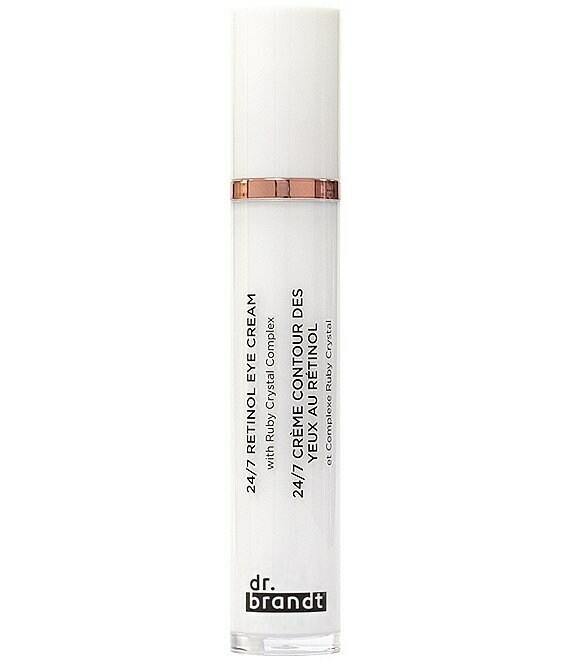 Time-released Retinol: Helps smooth the look of lines and wrinkles. Hydra-Balance: Hydrates and prevents moisture loss. Olive active: Helps reduce redness and irritation and protects skin against oxidative stress. Ruby Powder, Ethylhexylglycerin, Aluminum Hydroxide, Glycine Soja (Soybean) Oil, Glucosyl Hesperidin, Tocopheryl Acetate, Retinol, Lecithin, Limonene, Titanium Dioxide (Ci 77891), Iron Oxides (Ci 77491).